The Walmart Black Friday Deals are running strong! Here’s a hot CHI deal for you! Kohl’s.com is offering this CHI Air Classic 1-in. Tourmaline Ceramic Flat Iron with Bonus Thermal Glitter Mat for $69.99 (Retail $129.99). Use the coupon code: THANKS15 or YES2SAVINGS to save 15%- bringing your total down to only $59.49 with FREE Shipping. And you’ll get $15 in Kohl’s Cash for spending $50! So it is like you are getting this Flat Iron for just $44.49! As a comparison, this same flat iron is selling for $94.85 on Amazon. Shipping is free on your $50 purchase. Get $15 in Kohl’s Cash for every $50 that you spend. *HOT* Amazon Black Friday Video Game Lightning Deals – Prices Match What We Saw at Stores on Thanksgiving! Here are the Black Friday Video Game Lightning Deals! Check out all of today’s Lightning Deals HERE – you’ll also find apparel and more! Right now at Kohl’s get 15% off with the coupon code THANKS15 or YES2SAVINGS at checkout. Plus shipping is free on your $50 purchase. Get $15 in Kohl’s Cash for every $50 that you spend. Planning to do a little shopping this Black Friday? Here are a few codes and deals you can use. •Baby Legs: Up to 70% off + Free Shipping. Valid through 12/3. •Barnes & Noble: Take an Extra 30% Off Any Item! Enter Code BFRIDAY14 . Offer valid 11/27 – 11/30/14. •Big Fish Games: First Time Customers Save 90% off any $9.99 game with code BFGAME. Choose from Match 3 games, Hidden Object Games, Card Games & More! Valid 11/28/2014 only. •Best Buy: Tons of Doorbusters & Black Friday Deals available online. •Birthday Express: 50% off Black Friday Holiday Deals with code: HOLIDAY Valid 11/28-11/30. •Build A Bear: Get 2 bears for just $15! Offer valid on Peppermint Kisses Bear & Festive Fun Bear only. Outfits and accessory sold separately. *Black Friday Bears are $12 each when purchased separately. Offer valid while supplies last. Starts 11/27 at 6:00PM CST. •Cache: 30% Off Entire Store (excluding cocktail and evening gowns). Valid 11/25-11/28. •Calendars.com: Everything on sale up to 50%, Extra 20% off orders of $50 or more with code TGIBF + Free Standard Shipping Any Order. Starts 11/28. •Canvas People: Get 70% Off on ALL Canvas size plus $9.99 flat rate shipping per canvas. Valid through December 1st. •Carter’s: 50% Off Everything, Free Shipping on ALL orders Starting at 6pm EST 11/27 – 11/28! •Catherine’s: 50% off everything + free shipping on all orders! Use code HOLIDAYCA at checkout. Valid 11/28 only. •Children’s Place: 50 percent off EVERYTHING + FREE SHIPPING on Every Order! Valid 11/26-11/28. •Claire’s: $3/$5/$10 Everything on Site. Valid 11/28-12/1. •Country Outfitter: Take $75 Off purchases of $300 or more at Country Outfitter! Use Code: BF75CO300 to redeem! Valid 11/28 Only. •Crocs: Buy one, get up to two pairs 50% off with code BRIGHT Valid 11/27-11/30! •Crock-Pot: Save up to 64%. •dELiA’s: Extra 50% Off Your Entire Order + FREE Shipping, No Minimum. Use Code: BFSALE . Valid 11/27/14 – 11/28/14. •DisneyStore: Save up to 50% when you take an extra 20% off the Magical Deals with code: THANKS + Free Shipping on orders $75 or more. Valid 11/27-11/29. •e.l.f: Buy One Get One 50% Off, plus receive a Free Limited Edition Kabuki Brush with any purchase of $30 or more. Enter code BLACKFRIDAY at checkout. 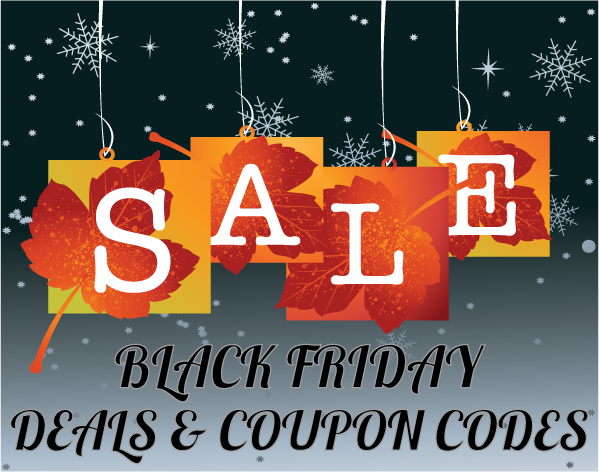 Valid 11/27 – 11/30/14. •Express: 50% Off Everything Online All Day, and 40% Off Every Single Item In-store After Noon EST! Valid 11/28. •Famous Footwear: Buy One, Get One Half Off PLUS 15% off with code THKGV15 or Rewards members take an additional 20% off with code THKGV20. Valid through 11/30. •Finish Line: College Apparel 2 for $35, FREE SHIPPING on all orders $30 and over & many deals. •Flirty Aprons: 50% Off + Free Shipping with code BLACKFLIRTY50. Valid 11/28-12/3. •Forever 21: Get an Extra 30% Off Sale Items from Forever 21! Plus Free shipping on All Orders! Valid 11/28/14 Only. •Gamestop: Save up to 50% on GameStop’s Black Friday Weekend! Valid 11/27-11/30. •Gap: 50% off everything!! Online & in stores. Use code BLKFRIDAY. Valid 11/27-11/28. -30% Off + $3.99 Flat Rate Shipping at GNC.com. Exclusions Apply. Valid 11/27 only. •Groupon: Up to an additional 30% off. Valid 11/28-12/1. •Gymboree: 50% off everything + free shipping on all orders. Valid 11/26-11/28. •Hartstrings: Take an extra 25% off with code BF14! Valid 11/25 – 11/29. •Home Depot: 25% to 40% Off Major Appliances & more! •HSN: 20% off $50+ with coupon 143694. Valid through 11/30. •iHomeaudio: Get 30% Off on entire purchase by entering code: HoHoHo plus Free Ground Shipping. Valid through December 1st. •Janie & Jack: 30% off your entire purchase at Janie and Jack. Valid 11/26-11/28. •Jelly Belly: Save 25% on Belly Flops. Valid thru 11/30/14. •Jelly Belly: Give a Gift Everyone Loves! Jelly Belly 20-Flavor Gift Boxes: Reg. $9.99, Only $7.49. Black Friday thru 11/30/14. •Jo-Ann: Doorbusters & 30% off one regular priced item coupon. •Joe’s New Balance Outlet: Doorbusters. 11/28-12/1. 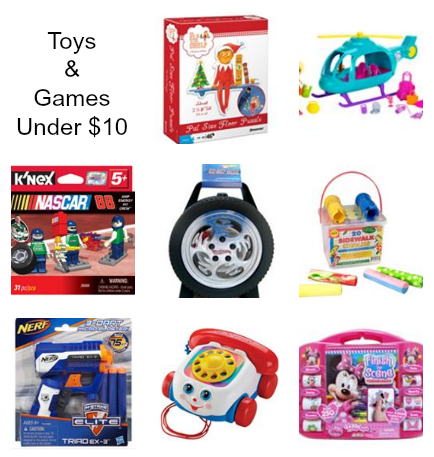 •Jos A Bank: Door busters & Free Shipping. •Justice & Brothers: Doorbusters – OVER 50% Off Everything! Free Shipping Over $99! Use Code 766. Valid 11/28 only. •Kmart: Black Friday Doorbusters from 5am-2pm 11/28. •Lane Bryant: 50% off sitewide with code HOLIDAYLB! 11/27-11/29. •Lee Jeans: Get up to 50% Off, plus an additional 15% off $75 and Free Shipping! No code required – Valid 11/28 only. •Lids: Take 35% off +FREE Shipping on $25! USe code 35OFF, valid 11/26-11/28. •Limited: Extra 10% off your purchase for The Limited credit card holders. Valid in store and online 11.27 through 11.28. Free Shipping on ALL ORDERS! Valid 11.24 through 12.1 with code THANKS at checkout! •LivingSocial: Take 25% off from 8pm ET on Thanksgiving night (11/27) until 2pm ET on Black Friday (11/28), and 15% off starting at 2pm ET on Black Friday (11/28) when you use the code SKIPTHELINES at checkout. Max discount $50; Restrictions apply. •Melissa & Doug: Save $10 Off Any Order Over $100! Free Personalization! Free Shipping No Minimum! Valid 11/28 only. •Mr. Coffee: Mr. Coffee® Single Cup K-Cup® Brewing System – 50% off. •My M&M’s: Get 40% all orders no minimum, use code: MYSPECIAL40 exclusive offer. Valid now through 11/30. •Neiman Marcus Last Call: Extra 40%–60% Off EVERYTHING! Offer valid 11/24-11/28. •New York & Company: Doorbusters. •OshKosh B’gosh: 50% off Everything, Extra 20% off Clearance. Valid 11/24-11/30. –Get 20% off of $40+ with Code NOVOKBG. Valid through 11/30. –Get 15% off All Orders with code: 15OFFNOV. Valid through 11/30. •Payless Shoesource: Take an extra 20% off at Payless.com with code ZZThanks, plus get FREE Shipping on any purchase over $35! Offer valid Today Only 11.27.14. Online Only. •Peapod: Get $20 Off Your First Delivery or Pick Up Order of $100 or more at Peapod.com with code AFFBFCMD20. Some exclusions apply, see site for details. •PetSmart: Save 50% – Plus Free Shipping No Minimum at PetSmart.com! Offer valid 11/27 to 11/28. •QVC: One Day Deals, Free S&H on THOUSANDS of Items, & MORE! •Robeez Footwear: SAVE 25% and get Free Shipping! Code: HOLIDAY14. Valid 11/28-12/1. •Sally Beauty Supply: Save 15% on ALL ORDERS! Use promo code 555158 at checkout. Offer valid through 11/30! •Sam’s Club: Black Friday Deals. •Sears: Black Friday Doorbusters. Valid Wednesday 6pm and ending Friday 3pm CT! •Shindigz: 15% off Any Size Order. Use promo code CJBLKFR at checkout. Valid 11/28-11/29. •Sports Authority: Doorbusters and Deals, Buy One, Get One 50% off Footwear, Buy One, Get One 50% off Socks. Valid 11/27-11/28. •Sports Authority: Buy One Ball, Get One Ball Free. Valid 11/28 only. •Sports Authority: Save $29 on THE NORTH FACE Chimborazo and Morninglory Fleece & Save $20 on Select Colors of Men’s, Women’s and Kids’ NIKE Free Run 5.0 Running Shoes. Valid 11/27-11/29. •Starbucks Store: Save 15-50% on Verismo® machines 11/27 through 12/1. •Stein Mart: $10 Off All Orders of $75 or More w/Code HLDY75. Valid 11/27 – 11/28 Noon EDT. •Stella & Dot: Additional 25% off all sale items. Plus, for every $50 you purchase, you will get $25 back to spend later. Valid through 11/30. •Steve Madden: 30% off plus Free Shipping using promo code YES! Offer valid 11.28 only! •Stride Rite: 40% Off + Free Shipping On Your Purchase for Thanksgiving & Black Friday with Code: THANKS14. Valid 11/27/14 – 11/28/14. •Tervis Tumbler: Receive 25% off all orders with code GRAVY. Valid 11/27 – 11/28. •Torrid: 40% Off Reg Price + 50% Off Clearance w/code BF2014 & Free Shipping Over $25. Valid 11/27-11/28. •Under Armour: 25% OFF The UA Big Logo Hoodie (for men, women, boys & girls), 25% Off the UA Member’s Bounce 1/4 Zip, Limited Time Free Shipping, No Minimum. Valid 11/26 @ 12 EST – 12/6 @ 11:59pm EST. •Walgreens: Get 25% Off Reg. Priced Items with code: GOBBLE25. Valid 11/27-11/29. •VeggieTales: 40% off Sitewide & Free Shipping. •Woot: Woot Off Days! Valid 11/24-12/1. •Canvas People: Fall into Autumn with FREE 11×14 and Just Pay Shipping or Get 60% Off and FREE standard Shipping on All Canvases. •Easy Canvas Prints: 60% off Sitewide + Free Shipping. Now through 11/30. –Pick up a 5×7 Canvas Prints for just $4.75 with code BFCMCANVAS thru 12/1 and save $14.24! –Save $47 and buy a 12×18 Framed Print for just $38 with code BFCMFRAMED thru 12/1! –Save $27 and pick up an 8×10 Framed Print for just $22 with code BFCMFRAMED thru 12/1! •TinyPrints: Sitewide Sale: 30% Off Any Order + An Extra 10% Off with code: 1128DEAL. Valid 11/28-11/30. •Olive Garden: Take $5 off two dinner entrees with this coupon after 4pm on Black Friday! Valid 11/28 only! •Restaurant.com: $25 Certificates for $5 with Code: BLACK. Valid 11/28-11/29. Bath & Body Works 2014 VIP Tote $20 w/ $40 Purchase, Buy 3 Get 3 FREE & $5 2pk Wallflowers Refills – Black Friday Deals Online! Bath & Body Works has their deals online and in-store on Black Friday (Thursday)! Get Buy 3, Get 3 FREE on the entire store. They also have 2pk Wallflowers for $5 today (11/27) only – ends 2AM! This will go fast! Hurry over to Amazon where you can score this highly rated Minecraft: The Complete Handbook Collection for only $13.43 when you use promo code: HOLIDAY30 (reg $31.96)! !If you don’t need it right away – you can select NO rush shipping and it will arrive in 5-7 days and you’ll get a $1 digital ebook, music or movie credit!